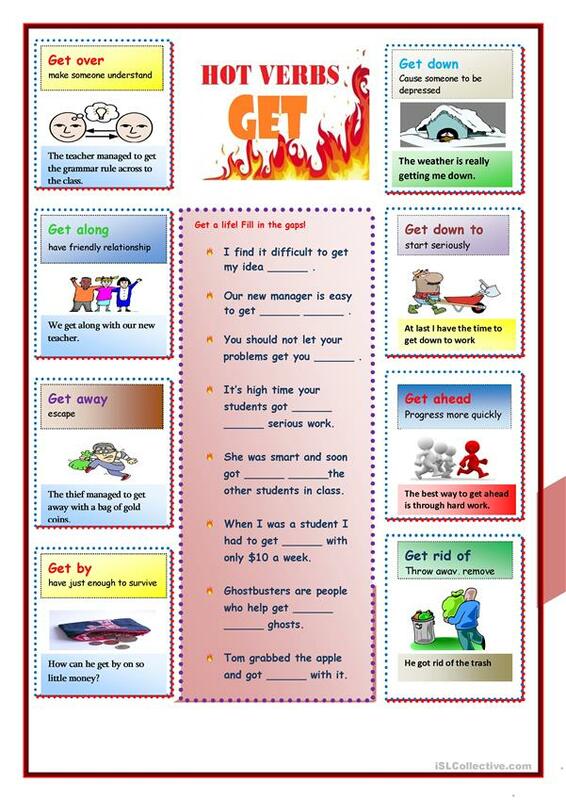 This worksheet illustrates the use of the phrasal verbs involving "get". Sample sentences + a gap filling task. The above downloadable teaching material is a great resource for high school students, elementary school students and adults at Elementary (A1), Pre-intermediate (A2) and Intermediate (B1) level. It is great for revising Phrasal verbs in English.